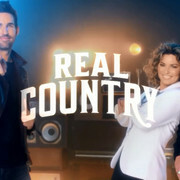 USA Network today announced Real Country, a new country music showcase series featuring multi-platinum, five-time Grammy Award-winning trailblazer Shania Twain, and ACM Award-winning and platinum-selling singer-songwriter Jake Owen! 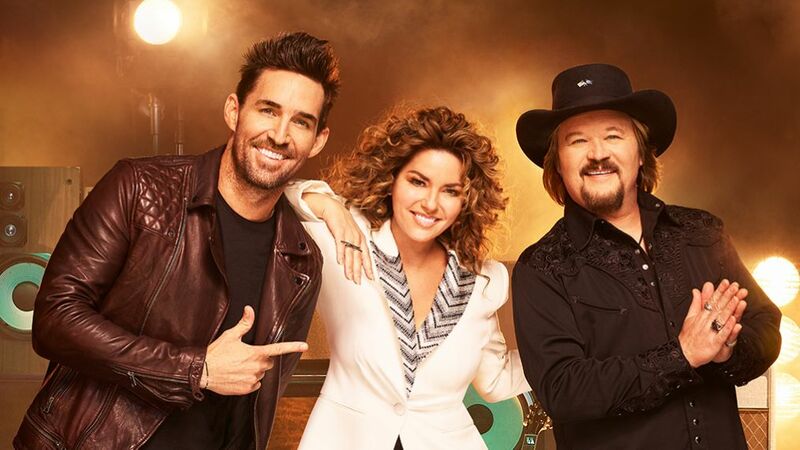 Shania Twain and Jake Owen will team up this summer for Real Country, a new singing competition that will spotlight the traditions, songs and themes of specific country genres. The eight-episode series is scheduled to air later this fall on USA Network. During each hourlong installment of the series, Twain and Owen will hand-select emerging solo artists, duos and groups to perform in a showcase. 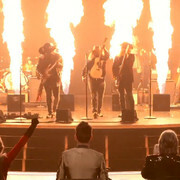 The best artists from each will then perform in a grand finale for the chance to be crowned one of country music's next breakout acts. "It's been an incredible year for me, releasing my new album and coming back to country music," Twain says in a statement. "I feel it's time for me to add my own support in finding our greatest undiscovered talent. It's beyond thrilling to be leading the charge with Real Country and I'm on a mission to find artists who will keep country music diverse and dynamic. The kind of diversity that inspired all of us." "Country music truly seems to be the healing factor in a lot of people's lives," adds Owen. "I will always be grateful for music, whether I'm performing or listening, and I want to encourage up-and-coming artists to tell their stories, find their audiences and make their mark in country music with the same guidance that artists have given to me throughout my journey." Artists interested in performing on Real Country can apply online or via email at RealCountry@castingduo.com. Twain, who courted controversy with her recent statement – and subsequent apology – seemingly in support of President Trump, released Now, her first album in 15 years in September. Her summer-long headlining tour kicks off Thursday, May 3rd, in Tacoma, Washington. Owen will be on the road this spring and summer with his Life's Whatcha Make It Tour, featuring Chris Janson and Jordan Davis. Twain and Owen are just the latest country singers to judge prospective talent on TV. Luke Bryan joined this year's reboot of American Idol on ABC, and Blake Shelton has been a perennial coach on NBC's The Voice. Reality TV apparently does impress Shania Twain much: The singer has been tapped to headline a country music competition series for USA Network. 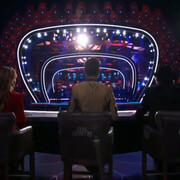 Titled Real Country, the project — which finds the former Voice advisor co-hosting alongside fellow country music star Jake Owen — emerging solo artists, duos and groups will perform in showcases that spotlight “the rich traditions, songs and themes of specific country genres,” per USA. The best artists from each showcase will perform in a grand finale, for the chance to be named one of country music’s next breakout acts. Real Country is slated to bow this fall. 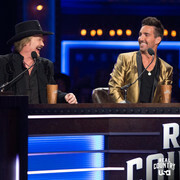 It’s beyond thrilling to be leading the charge with @jakeowen on @USA_Network's new series REAL COUNTRY. I’m on a mission to find artists who will keep country music diverse and dynamic. The kind of diversity that inspired all of us. Doubt that she will sing on the show. And if she does, it sure as heck won't be live. USA Network is currently casting a new country music talent show that’ll be hosted by Shania Twain and Jake Owen. 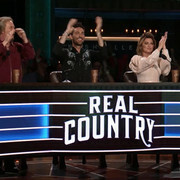 Titled Real Country, the competition will give up-and-coming acts the chance to compete for a spot on the show’s grand finale, by performing in a series of invitation-only showcases for Nashville insiders. If you’re interested, you have between now and Monday, June 18 to submit your application online. Real Country will be shot in Music City. This isn't USA Network's first foray into the country world. Starting in 2003, Nashville Star aired on USA for five seasons, giving us our first glimpse at big names like Miranda Lambert and Chris Young. 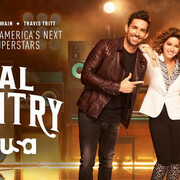 While Jake Owen would have been excited about the prospect of joining any televised singing competition that features a lineup of judges including Shania Twain and Travis Tritt, the country star says Real Country, the eight-episode TV series that will premiere in the fall of 2018, was a particularly compelling opportunity for him from the very beginning, due to its focus on exposure for young artists. "I know when I started on a barstool somewhere, all I wanted was for someone to say, 'That guy's good,' and give me a chance," Owen explained to The Boot and other media outlets backstage at the 2018 CMA Music Festival. "I think that's what any of us have wanted since our earliest times making music, is that opportunity." 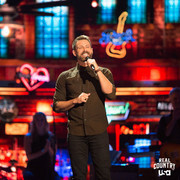 While many televised singing competitions include recording contracts or publishing deals as part of the prize for winning the show, Owen says the fact that Real Country will not feature contract packages will help the show focus on the music. "When they came to me with this opportunity, they said, 'Hey, this isn't anything contractual,'" he goes on to say. "We're not signing any of these people ... We're just gonna put them on a pedestal and put them in the spotlight, so that they have the opportunity at some point for somebody to come forward and give them that chance." Owen says each of the judges brings a unique and important knowledge of the country music genre to the table: "I think what [Tritt]'ll bring to the table is that classic country honesty that he's always had, and a little more grit," Owen explains. "I think there are those out there looking at Shania thinking she'll understand more of the pop side of it, even though I believe in my heart that Shania very much knows her country music history and is proud of it. I understand more of the world of modern country music, although I still very much have an appreciation for the classic side of country as well." Between the three of them, Owen explains, he's excited to spotlight country newcomers and help them take their place in the genre. "The three of us trying to find the next people that we believe have the ability to shine a light and let the world hear them is what I'm excited about," he adds. 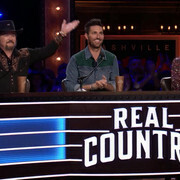 According to third judge Travis Tritt, "Real Country" will premiere in October. I’m very proud to be part of the new television show that will premiere in October on the USA Network called REAL COUNTRY. My opinions might be very unpopular with some, but I’m committed to bringing real country music back to the mainstream. That is my goal and I will not fail! USA Network announced today that its new music showcase series Real Country has added country stars Trace Adkins, Wynonna Judd, and Big & Rich as celebrity guests. The network also announced a special appearance by the beloved country icon Willie Nelson, and set Graham Bunn -- most recently from Southern California’s #1 country station, Go Country 105 -- as host. Each episode will feature one of the special celebrity guests alongside Real Country's permanent panel of artists -– five-time Grammy Award-winning trailblazer Shania Twain, platinum-selling singer-songwriter Jake Owen, and Grammy Award-winning music legend Travis Tritt. From Wilshire Studios, the eight-part series will premiere Tuesday, November 13 at 10/9c, and has Twain, Nicolle Yaron, Stijn Bakkers, and Leslie Garvin set to executive produce. Additional celebrity guests will be announced soon! In each hour-long episode, Twain, Owen, and Tritt will hand-select emerging solo artists, duos, and groups to perform in showcases that spotlight the rich traditions, songs, and themes of country music. The best artists from each showcase will perform in a two-hour grand finale, for the chance to be named one of country music’s next breakout acts. To learn more about joining the Real Country studio audience in Nashville, please click here. 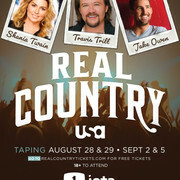 Real Country premieres this Fall on the @USA_Network! Myself, @JakeOwen and @Travistritt will be searching for the next breakout act in country music. I can't wait! ***The show premieres November 13 on the USA Network channel. I don't think it will air in Canada just like "The Launch" (CTV Canada) wasn't picked up here in the U.S. earlier this year when Shania was a mentor. Show up, party down & help @ShaniaTwain, @Travistritt & @jakeowen celebrate country music like never before! It looks like Shania's long-time hairstylist, Frankie Foye, is heading to Nashville for the tapings. Shania outside Nashville Municipal Auditorium before today's taping of "Real Country". Y’all #RealCountryTV on the @USA_Network is going to be amazing! @ShaniaTwain was epically STUNNING tonight! Had a blast at the taping! Thank you @1iota! Wow! There are still tickets available for all 3 tapings today (10:00am, 3:00pm, 7:30pm) and the finale on September 5. People must not be that interested. Probably a good indicator of the ratings the show will have when it airs on TV. Especially being on a cable channel like USA Network. One of the girls (Danielle) who runs "Shania Now Tour" on Instagram won. She gets to meet Shania again. LOL. Lexi and Danielle ("Shania Now Tour" on Instagram) talk about their concert and meet & greet experience in Washington, D.C. on July 15. 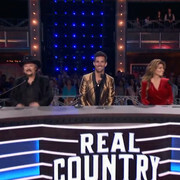 ***Shania is currently in Nashville taping "Real Country". The finale tapes Wednesday, September 5. Country music like you've never seen it before. Real Country premieres on @USA_Network November 13. Join @ShaniaTwain, @JakeOwen and @TravisTritt on their search for the next country superstar. Real Country premieres this fall on @USA_Network. @RealCountryTV premieres this November! I'm on a mission to find artists who will keep country music diverse and dynamic. Very excited for you all to see this! @RealCountryTV premieres November 13 on @USA_Network! "Real Country" posted a new promo on their Facebook Page. Shania Twain, Travis Tritt, and Jake Owen are searching for country's next big superstars. Don't miss the season premiere of Real Country, November 13, on USA Network. Keep your eyes on the prize. #RealCountryTV premieres November 13 on @USA_Network.
.@ShaniaTwain, @TravisTritt and @JakeOwen are searching for country’s next superstars. #RealCountryTV premieres November 13 on @USA_Network. ***Next Wednesday, October 17 is the last concert of the European leg of the NOW tour. Then Shania has a break until November 30 (my birthday) when she'll start the Australia/New Zealand leg and final 12 concerts of the tour. 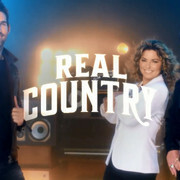 I'm sure Shania will be on one or two talk shows to promote "Real Country" before it premieres on November 13. The next generation of country music legends is about to be discovered. 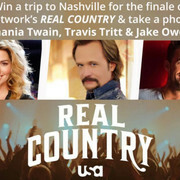 USA Network revealed on Wednesday the premiere date and key art for its new music competition series, Real Country. Also, a 'Bachelorette' alum will host the series, coming in November. 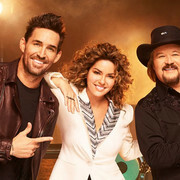 The eight-part series will debut on November 13 and features five-time Grammy Award-winning artist Shania Twain (also an executive producer), platinum-selling singer-songwriter Jake Owen, and Grammy Award-winning music legend Travis Tritt. On the show, "Twain, Owen and Tritt will hand-select emerging solo artists, duos and groups to perform in showcases that spotlight the rich traditions, songs and themes of country music," the network revealed. "The best artists from each showcase will perform in a grand finale, for the chance to be named one of country music’s next breakout acts." "Country music is... honest, sincere," Twain says in the promo clip. Meanwhile, Owen says it must be "genuine, authentic" and Tritt emphasizes it must "tell a story" and make you feel something. You don’t have much longer to wait before country music gets a lot more REAL. #RealCountryTV. November 13. Only on @USA_Network. From a Bachelor in Paradise, to a career ruling the radio, @GrahamBunn has done it all—and now, he's coming to @USA_Network to host #RealCountryTV, premiering November 13. Get ready, America. Set your calendars and get ready to rock: @ShaniaTwain, @TravisTritt, and @JakeOwen are bringing #RealCountryTV to you, beginning November 13, only on @USA_Network! There's no place like Nashville. #RealCountryTV premieres November 13 at 10/9c—only on @USA_Network. The gang's all here—are you ready for the premiere of #RealCountryTV on @USA_Network? We’ll see you November 13 at 10/9c. Click HERE to watch a behind-the-scenes video previewing the series. @ShaniaTwain. @Travistritt. @jakeowen. @GrahamBunn. This star-studded cast is ready to go. #RealCountryTV premieres November 13 on @USA_Network. Wondering what gets our stars shaking on the dance floor? 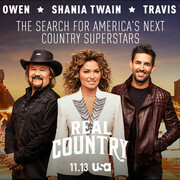 @TravisTritt, @ShaniaTwain, @JakeOwen and @GrahamBunn tell all before #RealCountryTV premieres November 13. Is anyone else unable to access the video? What is she saying at 1:33- "I'm a pretty good ...."? "I'm a pretty good goalie." Has anyone heard yet if it will be available in Canada? Jump To:--- Everything Shania ---General Shania DiscussionShania Breaking NewsConcert ToursShania's Music, Albums, Singles...Shania Media & Television A...Shania Picture ForumTimmins/Shania Twain Centre/Fan...--- The Fans' Corner ---Questions, Comments & Sugge...MusicOpenMember IntroductionsNews, Sports, etc.